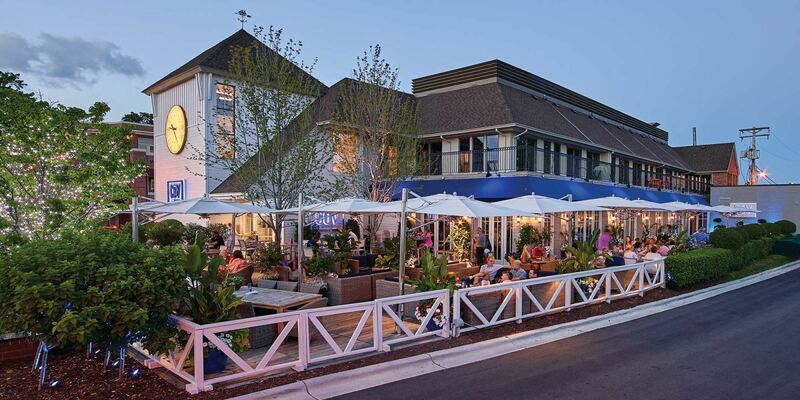 If you’re looking for an area to check out, consider hitting the shops in downtown Wayzata, situated along the shores of Lake Minnetonka. It’s a place to spend a leisurely afternoon for shopping and lunch. 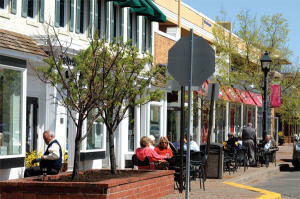 The shopping spot offers a mix of long-standing and newer businesses in a casual and picturesque setting. Hotel Landing is the newest luxury boutique hotel catering to the visitors of the Wayzata and surrounding lakefront communities. Geography Wayzata is a suburb of Minneapolis, Minnesota, situated 11 miles to its west, on the northeast tip of Lake Minnetonka. According to the United States Census Bureau, the city has a total area of 3.16 square miles, of which 3.08 square miles is land and 0.08 square miles is water. The "land cover types" that compose the Wayzata area in descending order by square acreage are open water; residential areas, farmsteads, and commercial lands; forest; and farms. History Early settlement: The Mdewakanton Dakota, a sub-tribe of the Dakota nation, inhabited the area around Lake Minnetonka beginning around 1700 CE. They treasured the "Big Water" as an endowed hunting and fishing ground and protected the land from the rival Chippewa tribe (also referred to as the Ojibwe). While these natives had been living in the region for hundreds of years prior, the land was claimed by Spain and later France, who sold it to the United States as part of the Louisiana Purchase in 1803. For many years, the nearest Euro-American settlement was Fort Saint Anthony (later renamed Fort Snelling). It wasn't until the 1851 signing of the Treaty of Traverse des Sioux that the lands west of the Mississippi River were opened for land claims to be filed. Tension between the settlers and the natives in the area rose in the 1850s and climaxed during the Dakota War of 1862. After the war, most Dakotas (including the Mdewakanton) were forced to flee the area. Although the Dakota no longer live in the area, their legacy lives on in the name of the city. Waziya was their god of the North, a giant who blew the cold winds from his mouth. With the suffix ta added, the name means "North Shore. "The name Wayzata is a Euro-American translation of this phrase. 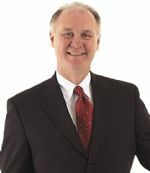 In 1852, two pioneer families settled on the present site of Wayzata, one of them being the family of Oscar E. Garrison. Garrison built a cabin at what is now the intersection of Lake Street and Broadway Avenue in downtown Wayzata. In 1854 he drew a survey of the area and filed a claim for most of present-day Wayzata proper. Wayzata was officially established later that year. In 1855, Wayzata had an influx of settlers, who built a sawmill, a hotel and a blacksmith shop. Most of these early settlers made their living in agriculture by clear-cutting the trees to grow corn and wheat. Since the eastern forests had been exhausted of their supply, ginseng root was also in great demand as an aphrodisiac in the Orient. When ginseng was discovered in the hardwood forests near Wayzata, the town became a distribution center for roots collected around the lake. In 1857, however, Wayzata's growing economy was nearly terminated by a locust plague. Resort era Growth was assured to the city when the Saint Paul & Pacific Railroad extended a line to Wayzata from Saint Paul. This inevitably made Wayzata the gateway to Lake Minnetonka. After the Civil War, vacationers from around the world began arriving in droves to enjoy the lake's natural beauty and cool climate. With numerous trains scheduled for arrival in Wayzata, hotels were quickly built around the lake. One such hotel, the Maurer House-West Hotel, was built where Garrison's cabin had been. An estimated twenty-thousand vacationers flocked to the area each year, spending entire summers at seventeen hotels scattered around the 125 miles of the lake shore. Paddle-wheel steamboats were used to bring visitors from the train station at Wayzata to many of the hotels. The largest of these steamboats, the Belle of Minnetonka, was 300 feet long and could purportedly accommodate up to 2,500 passengers. This era, commonly referred to as Lake Minnetonka's "Glory Years," reached its peak in 1882 when James J. Hill, now owning the Saint Paul & Pacific Railroad (which he had renamed Great Northern Railroad), built the 400-room Hotel Lafayette in Minnetonka Beach, about five miles west of the town. In 1881 Wayzata broke away from the Minnetonka Township and became a separate governmental entity, mainly as a reaction to the roaring tourist-vacationer lifestyle. The first act of the Village Council was to ban saloons, and the second was to have the railroad tracks moved away from the downtown business district. An 1883 town law required the tracks to be relocated 300 feet from the shoreline. Hill, the chairman of the railroad, ignored the law. In 1889, the Council filed a lawsuit forcing the railroad to comply. Hill argued that he had state law on his side and that, if the town continued its lawsuit, he would move the train station nearly a mile east of town. In 1891, the Minnesota Supreme Court denied the legality of the law, and Hill, as promised, moved the station to flat land beneath today's Bushaway Road railroad bridge. The village of Wayzata was literally taken off the map (as the new station was named Holdridge), and for the next fifteen years the town's economy barely grew. In 1905, the village council voted for a reconciliation ordinance, and Hill responded with the construction of a new depot near the business district. By 1890, the Glory Years of Lake Minnetonka had reached their apex. A nationwide economic depression and the migration of tourists to newer resort areas in the West gradually transformed Wayzata into a residential community. Summer cottages began to appear along the shores of Lake Minnetonka during this time. Some of the largest "cottages" (which were actually full-scale mansions) were constructed in Wayzata in the neighborhood known as Ferndale and along Bushaway Road. As the cottage era continued, the community of Wayzata became mostly residential, with small commercial centers at each end of Lake Street. By the 1920s, motorboating had become popular, and Wayzata had two nationally renowned boat builders located on the shore of Lake Minnetonka. Weekends brought thousands of spectators to the lake to watch boat races. In the 1930s, today's U.S. Route 12 reached Wayzata as a hard-surface road. Realtor Sam Batson subsequently praised the benefits of buying a summer cottage in the area and modifying it for year-round living. Despite the challenges associated with modernizing the infrastructure of a summer village, the population nearly doubled in that decade. Under mayor Rufus Rand, water and sewer service was provided to every building, street lights were installed on the town's newly paved roads, and a public beach and park were opened. As World War II approached, Wayzata became a city, with locally based jobs and retailers that provided all of a family's needs. The boat-building era was ending, and home building was starting to grow. During the war, wooden eight-man boats built in Wayzata were used by American soldiers to cross Europe's many rivers. Dairy farming became a significant local activity. At the end of the war, many single-family housing units were built on former dairy farms. Highway 12 was widened to four lanes, and the population swelled with commuters who worked in Minneapolis. Downtown residences were replaced by more stores, serving not only Wayzata but also the new families moving to the former farmlands outside the town. Longtime local residents were still the only candidates for public offices, and the need for more schools became a growing concern. The lake continued to draw people for boating, fishing, and other recreational activities. Wayzata became a charter city when people began considering it a suburb of the Minneapolis metropolitan area. In the 1950s, Wayzata doubled in size when it annexed land from Minnetonka, Plymouth and Orono. Shopping centers, such as the Wayzata Bay Center, were built to meet the daily needs of the residents, while the downtown shops focused on fashion and service businesses.